Hailing from Santander, the capital of the historical region of Cantabria, Spain, GATHERING DARKNESS was born in 1998 as a death/doom band. The band continued with their death/doom identity till the first two demo releases. The year 2004 marks a new epoch of the band when both lineup and sound were changed. The third demo, The New Beginning (released in 2004), and the debut album, ‘Beholders of the Pain Planet’ (released in 2005), are pure demonstrations of insufferable brutal death metal. ‘Desolation’, a two-track filthy EP, came out four years upon the release of the debut LP. Years later, GATHERING DARKNESS joined forces with the Canadian death/black savagery TYRRANTS BLOOD for the split album ‘The Light Won’t Save You’, in which the band shifted to a darker sound while upholding the dire essences of brutal death metal and since then their sonic palette has kept oscillating between brutal death and dark old school death metal hellscapes. Their next venture was the acclaimed sophomore album, ‘The Heat of a Dying Sun’, released in 2017 via Necromance Records. 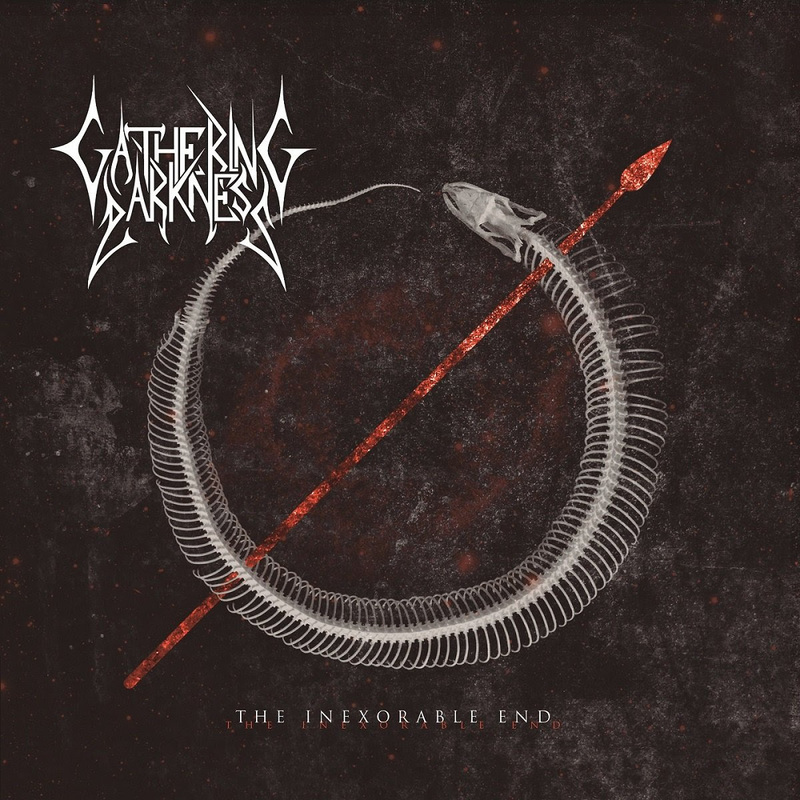 GATHERING DARKNESS offers A 7” release, titled ‘The Inexorable End’, to be released on October 21, 2018, to celebrate the 20 years journey as a band. Obeying the classified death metal sound structures, the Cantabrian death metal horde brought up merciless annihilation throughout the four gut-wrenching songs. The band has already shared stages with Misery Index, Sinister, The Ocean, Shai Hulud and many other bands from Spain. They will be playing various gigs to commemorate the two-decades of existence.